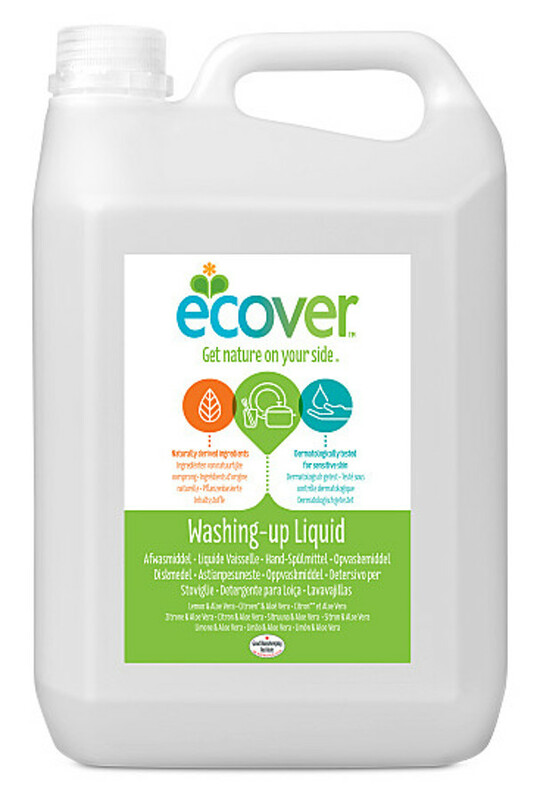 Made with natural plant-based ingredients, this effective washing up liquid is kind to your hands and to the environment. It leaves no unpleasant residue of unnecessary chemicals on your dishes. As the dirty dishwater flows down your sink, you can be assured that this product has been proven to have much less environmental impact than any conventional equivalent. Buy in quantity and refill your existing container to save money, unnecessary smaller plastic bottles and the pile of dirty dishes when you run out of washing up liquid! The Ecover Lemon & Aloe Vera Washing up Liquid - 5L product ethics are indicated below. To learn more about these product ethics and to see related products, follow the links below. Wash dishes up by hand, with an effective pleasant fresh smelling liquid, to refil my sink side bottle. Good for those with sensitive skin. Great product, only need a small amount for each use so lasts ages, good to have refills to try and reduce bottle usage. There are currently no questions to display about Ecover Lemon & Aloe Vera Washing up Liquid - 5L. 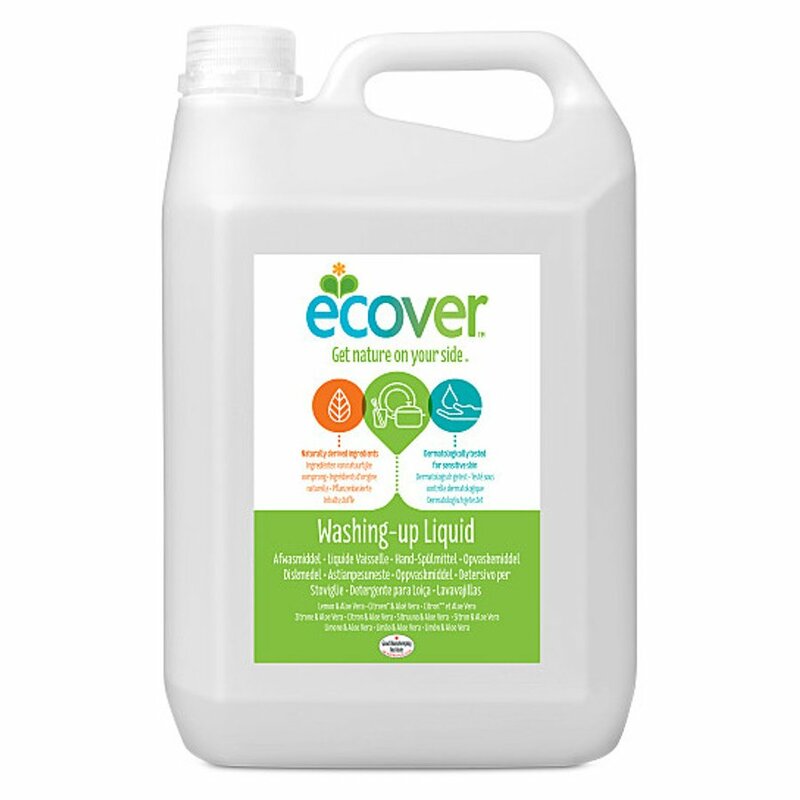 Ecover have a healthy obsession with cleaning and are now the world's largest producer of ecological detergents and eco-friendy cleaning and laundry products. Ecover aim to offer sustainable solutions for the hygienic needs of people today and future generations. Its progressive environmental policies place it at the forefront of developing environmentally friendly washing up liquids, household cleaners, laundry and personal care products since 1979. Back in 1992, Ecover even launched the world's first ecological factory.